Our entrance in the trees. Our friendly waiting area... pull up a chair, have a cup of tea and learn about herbs. 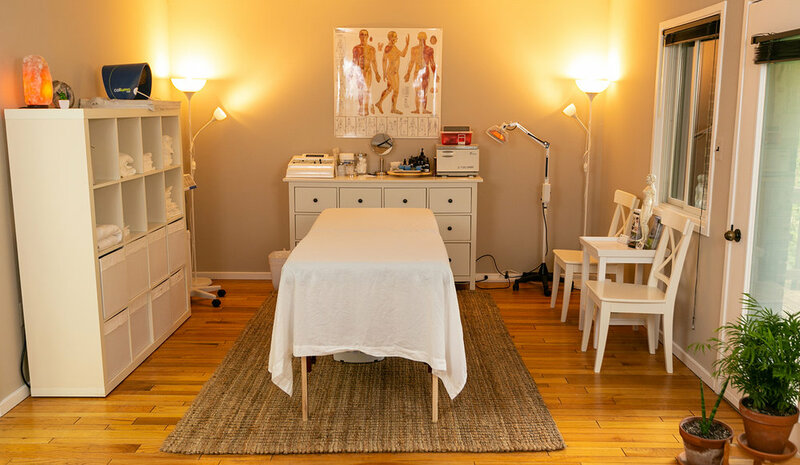 Our acupuncture and facial rejuvenation treatment space. Our allergy and sensitivity treatment space. Our detox space with infrared sauna and Chi Machine.